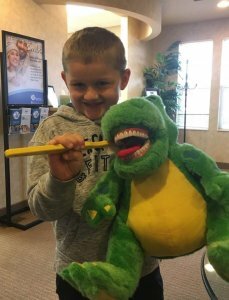 Dr. Meyers has created a warm and friendly atmosphere to make your child’s visit to the dentist as pleasant and comfortable as possible. 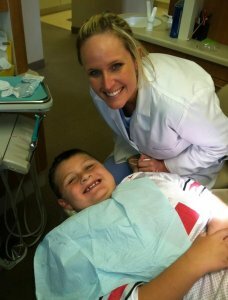 We want to earn your child’s trust so that going to the dentist can be an enjoyable experience. Dr. Meyers works hard to be a true Family Dentist, serving your whole family. By treating your kids as they grow, she’ll be there throughout their development and know each one’s needs to provide the best care possible. A lifetime of good dental health begins when you are a child. Studies have shown early oral care leads to a lifetime of dental health. Dr Meyers will spend time with you to answer any questions you may have, and help you establish healthy habits in your child. It’s also important that you, the parent, take an active role in caring for your children’s teeth. Set an example, and brush with them for 2 minutes, 2 times a day. Floss daily, and use mouth wash each day. By seeing you do things the right way, it will set them on the right path to healthy teeth! Ali is here to teach to teach kids how to brush and keep a healthy smile for a lifetime! 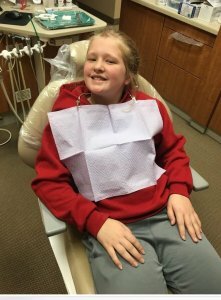 One more way Meyers Family Dental helps our patients to stay in the No Cavity Club! Need directions to our Westerville Office?